It has been silent on this site for some time now. I am keeping it online and just moved it to upgraded hosting. Some people still enjoy using TibEd, so please keep on doing that! Those of you who've been trying to use TibEd with 'The Ultimate Collection' as available on Origin will find that it does not work. Try installing the updated launchers from this topic, and for C&C'95 Tiberian Dawn check this topic. TibEd 2 is freely available, the registration system has been removed (already some time ago). Also, I finished my PhD thesis and defended it 18 months ago. Time flies! Here's a heads up: TibEd 2 will become freely available soon. Therefore, new registrations and orders will no longer be accepted. I still need to find the time to modify TibEd 2 and remove the complete registration system (and release this as a new version). I'm also working on my PhD thesis right now, so I don't know when it will be done exactly. This update fixes the file association when opening .TIB files through Windows Explorer. Several prequisite buildings were added for the C&C'95: Tiberian Dawn editor. If you are trying to mod C&C'95: Tiberian Dawn under Windows Vista or Windows 7, then download the updated TibEd 1.7 and reinstall. The updated installer will set the permissions on the TibEd and Tiberian Dawn folders correctly. This will fix "Access Denied" errors for that game. Other games supported by TibEd 1 were not affected by this bug. 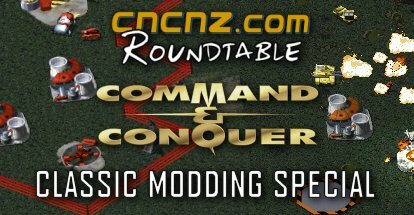 This months CNCNZ.com roundtable discussion is a special edition that focus completely on modding classic C&C games like the original C&C, Red Alert, Tiberian Sun, Red Alert 2 and Yuri's Revenge. Yours truly had something to say in there as well, so check it out now by clicking on the picture below or here. 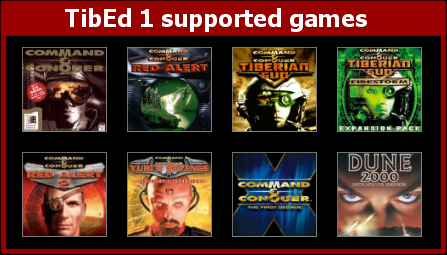 A new version of TibEd 2 with many fixes for Command & Conquer 3 (plus redesigned user interface) is almost here. If you want to test it, get it now on the TibEd forums. If there are no major issues, expect the official release soon. Great. The Red Alert 3/Spore DRM sounded very nice: you get to activate the game 5 times, and don't need the disc in the drive. Of course, those 5 could easily run out, so EA has released a deauthorization tool so you can "uninstall" the game from a machine without actually losing one of your activations. The thing is, it just does not work on Windows XP 64-bit. Some error 5024, about being unable to load a security module. So when I get a new machine next week, I will need to use activation #3 (new Vista 64-bit), after #1 (my current desktop) and #2 (my laptop). Oh, and if Windows 7 arrives next year, then I bet I'll have to reinstall Windows. And probably the deauthorization tool will not work on 64-bit Vista either. That will cost me #4, and so within 18 months I will have used up 4 out of 5 activations. I'm all for this activation stuff, but not if the deauthorization tool does not work. And the fact that you have to download it manually for Spore is plain stupid. Patch it into the game already!